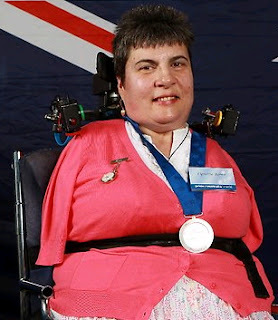 Lynette Rowe, an Australian woman has won a multi-million dollar payout from UK company Diageo Plc, the local distributor of the drug Thalidomide, her lawyers said on Wednesday in Melbourne Australia. Lynette Rowe, 50, was born without arms and legs after her mother Wendy took Thalidomide for a month while pregnant. At the time the drug was prescribed as a treatment for morning sickness. The settlement with Rowe could pave the way for more than 100 other Thalidomide victims in Australia and New Zealand to receive compensation through a class action, the law firm Slater & Gordon said. The drug was made by German company Grunenthal and was licenced in Australia to the firm Distillers, which was later taken over by Diageo. Grunenthal did not contribute to the settlement, the law firm said. “Those pills that Wendy and thousands of women took 50 years ago have caused so much heartache and suffering, but at least something positive is now being done to put some things right,”Lynette’s father Ian said in a statement released by Slater & Gordon. Rowe’s settlement follows a 50 million Australian dollar ($51 million) payment Diageo agreed to make in 2010 to 45 Thalidomide victims in Australia and New Zealand, who sought help to cope with the mounting costs of care as they were living longer than expected. “The approach announced today is both fair and equitable to all involved in this very sensitive and difficult situation,”said Diageo director Ian Wright. Diageo had “agreed a process that will explore resolution of as many of the remaining group claims as possible,”he said. The cases have been closely watched in the U.S., where a complaint has been filed against GlaxoSmithKline , Sanofi-Aventis, Avantor Performance Materials and Grunenthal, with several plaintiffs claiming their birth defects resulted from their mothers’ use of Thalidomide. The drug was widely used by pregnant women in Europe in the late 1950s and early 1960s to treat nausea, until evidence emerged that it caused terrible birth deformities.